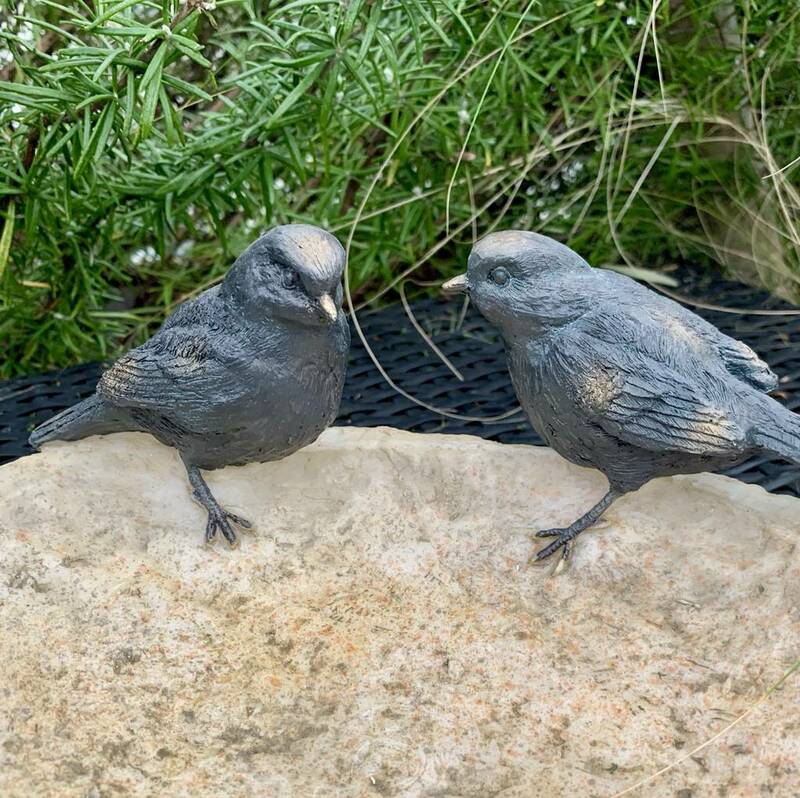 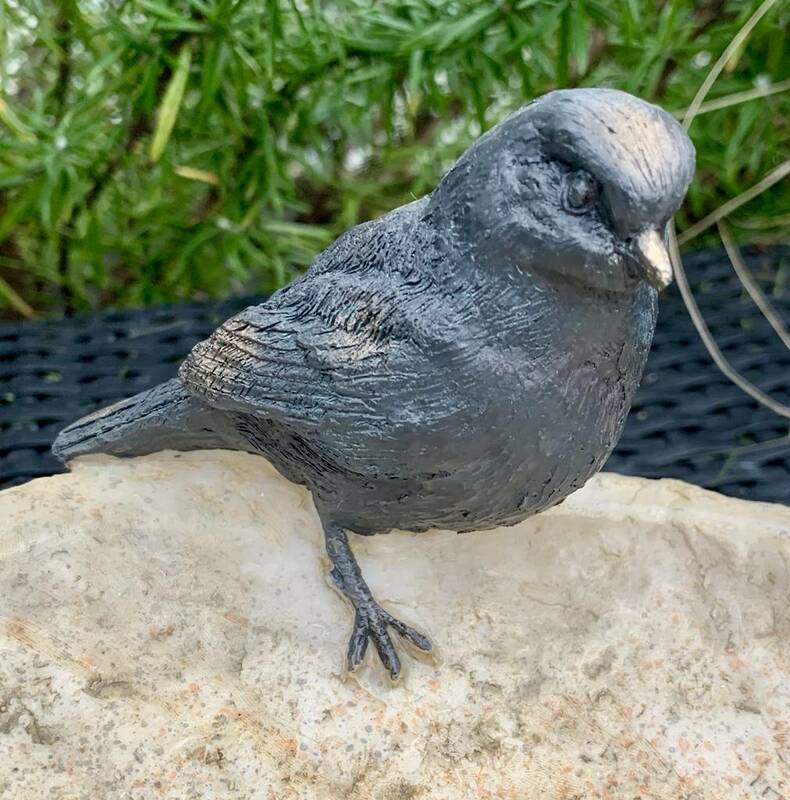 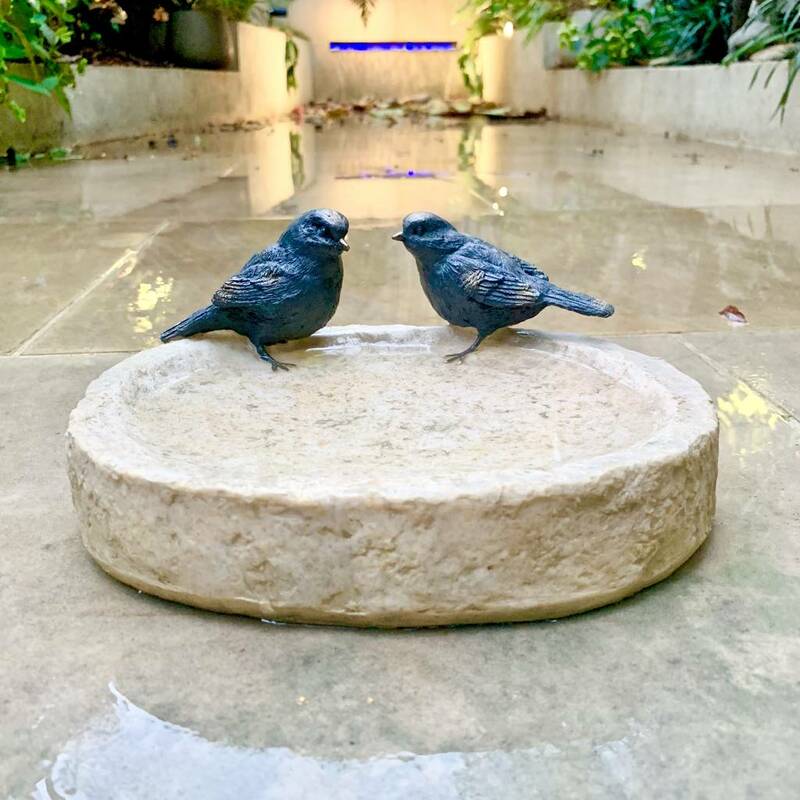 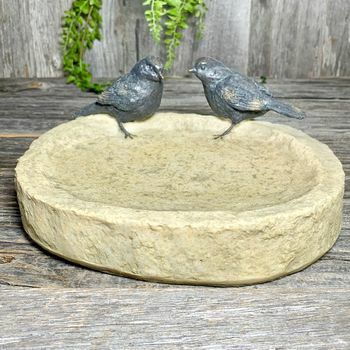 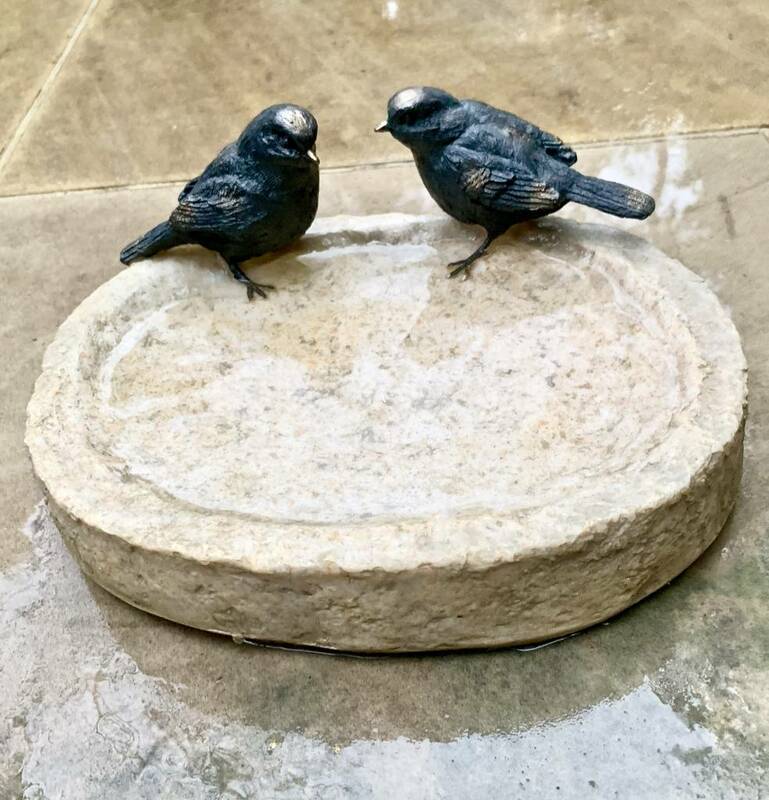 A lovely quality polystone birdbath with two additional resin bird decorations for your garden. 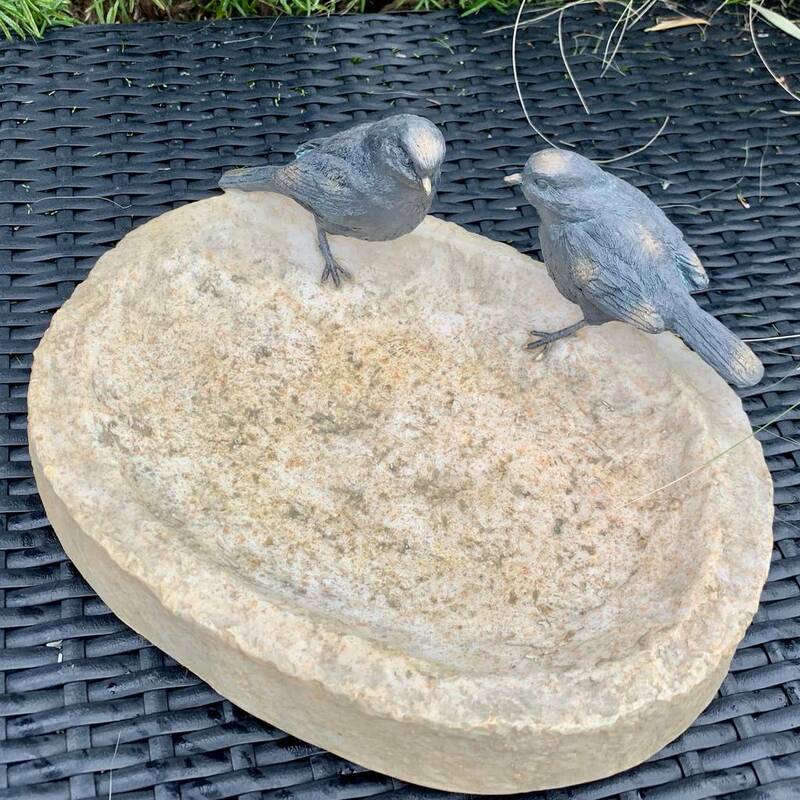 This lovely pale stone coloured bird bath garden would make a great gift solution for an avid gardener or bird enthusiast. 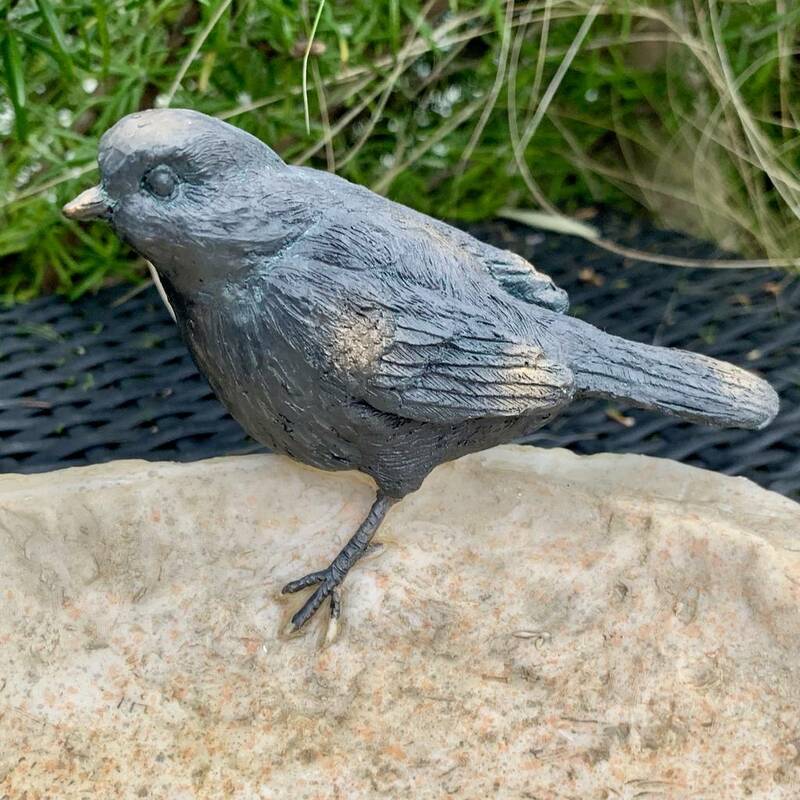 It would make a great birthday or wedding gift for garden loving friends. 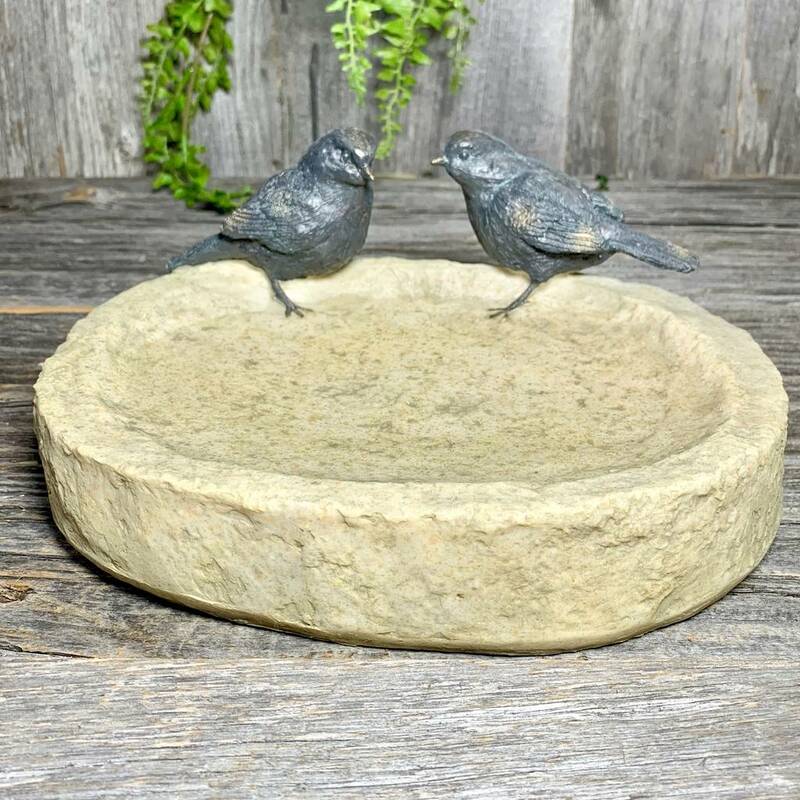 It would look charming sitting on a garden table or perched on top of a post so that you can watch the birds as they bathe.